The GAA has more clubs now operating around the world than ever before with 420 units currently registered outside of Ireland. This means it is now possible to play Gaelic Games from Montreal to Massachusetts to Madrid to Maastricht to Moscow the Middle East and Melbourne. The lure of the GAA Club abroad is varied. Of course, Gaelic Games are such an intrinsic part of the Irish identity and for many the expression of that identity is important. They are also great games and great ways to stay fit and healthy and competitive too. But without a doubt, GAA clubs abroad also provide an invaluable network of contacts and a support structure for the Irish Diaspora in creating a home from home. No matter where the club is located, the GAA is built on a sense of community and togetherness and of supporting people. There’s no shortage of tales of people with perhaps only a passing interest in the GAA while in Ireland becoming fully immersed in it when they move abroad to study or work. As time passes by the new phenomenon is of more and more people of diverse cultures and nationalities being introduced to and won over by the wonderful sports of football, hurling and camogie in Ireland and abroad. 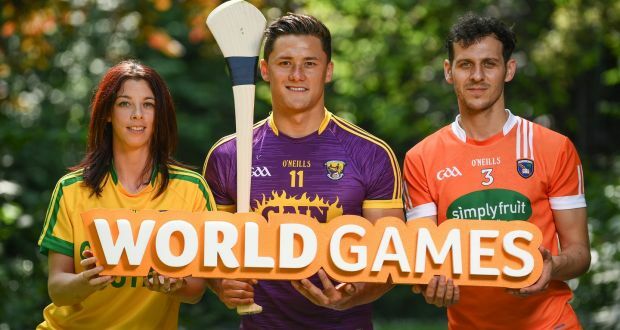 The jewel in the crown of World GAA, the World Games is a festival for international GAA clubs which was first held in Abu Dhabi in 2015 with 25 teams of men and women taking part across football, hurling, Ladies football and camogie. Based on its inaugural success, the World Games was then staged in Dublin’s UCD campus in August 2016. This saw 56 teams travel to take part, with 27 teams made up entirely of players of different nationalities (from Omani to South African) being involved in special competition, and the finals of the various competitions staged in Croke Park. The next GAA World Games will take place in the summer of 2019 at the Waterford Institute of Technology and promises to break more records. The annual Continental Youth Championships represents one of the biggest displays of young people playing Gaelic Games outside of Ireland. Staged over four days in a USA-based host city, it has been in operation since 2004. Typically, this sees 2,500 children from across the USA and Canada from the age of 6 up to 18 taking part in football, hurling, ladies football and camogie with 200 teams involved in more than 500 games. This work is at the forefront of the development of a new wave of people from all over the world, as well as second and subsequent generations of Irish emigrants, learning and playing our games. It was while he was on a visit to the Continental Youth Championships in the USA that Brendie Brien, an influential GAA figure in Britain, decided to replicate its success across England, Scotland and Wales. This is how the All Britain Competition was born. Held annually since 2011, it features school and club teams for children aged 8 to 17 years old in special developmental games promoting football, hurling, ladies football and camogie. Like the CYC, it has as many as 200 teams with more than 2,000 children playing and being part of a new generation won over to the thrills and skills of Gaelic Games.